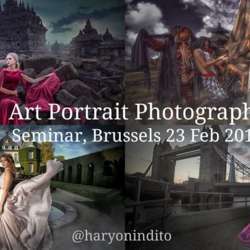 You must be a member of the Brussels Photography Group to attend this activity. Would you like to join this group? INTRO: "Are you art portrait photography enthusiasts who want to take portraits to the new level with artistic styles? Or are you a model, a designer, a stylist, a make-up artist, or just someone interested in art portraits? Then this seminar is for you.